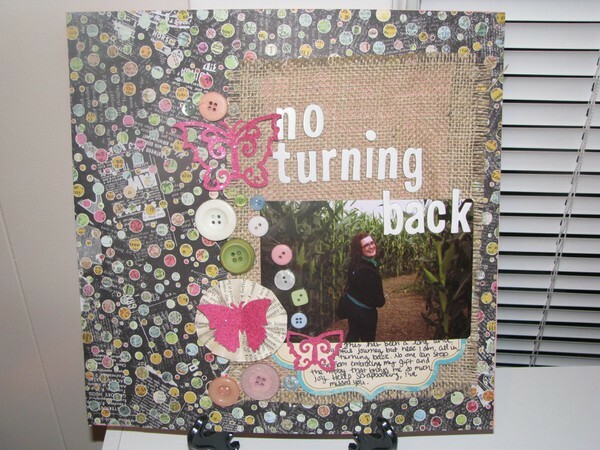 Most scrapbookers (then and now) using journaling on their pages. It's a way to capture the memory. As you can see above, I journaled on my layouts. Since I scrapbooked about memories, I had tons of photos. 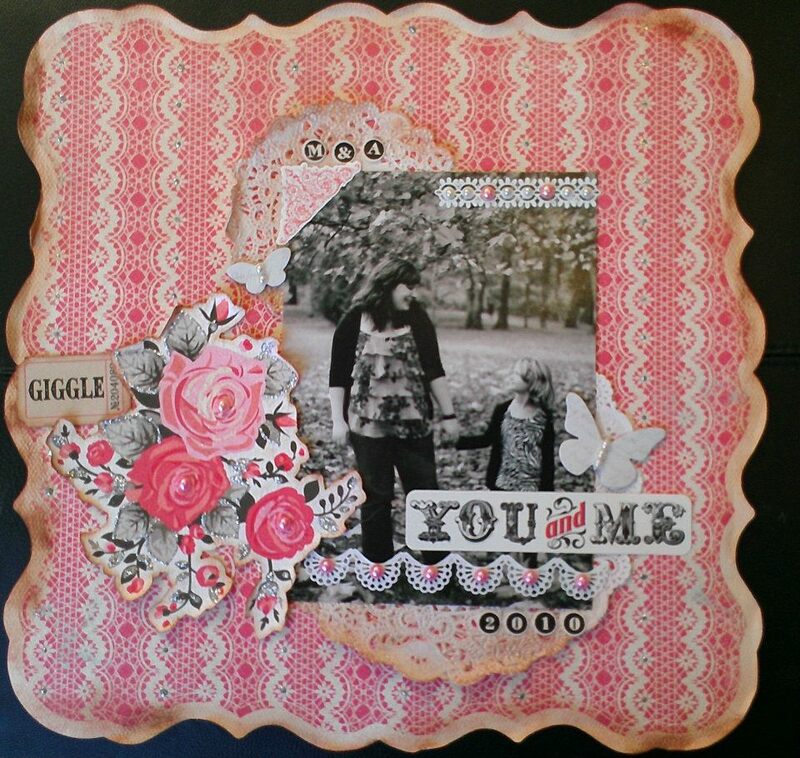 I often did two page layouts to fit them all in! 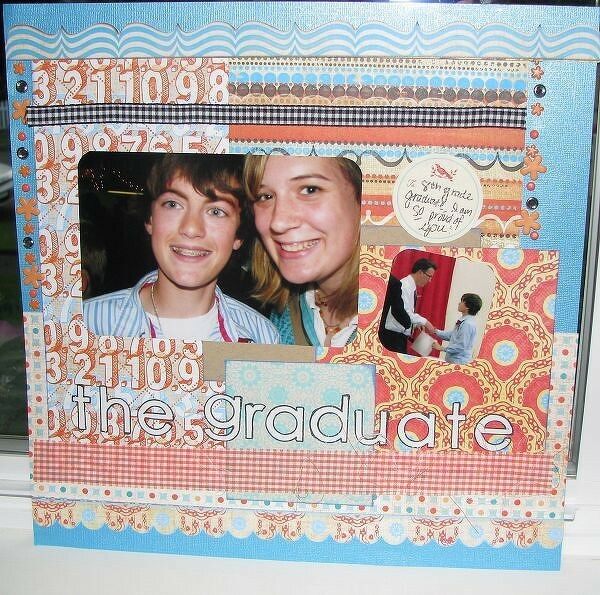 I also scrapbooked specific events, such as my eighteenth birthday and my cousin's eighth grade graduation (below). 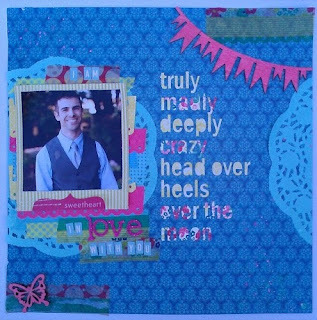 I preferred bright colors--the more mismatched the better! 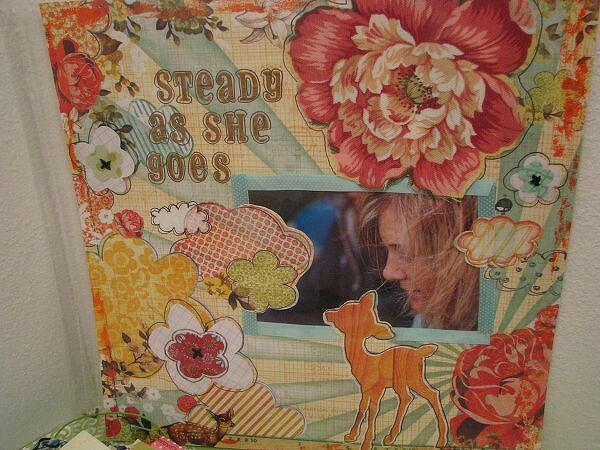 Eventually my style evolved to be a little more artsy. And I went through a phase where I used paint on everything! And then, in 2009, I stopped. 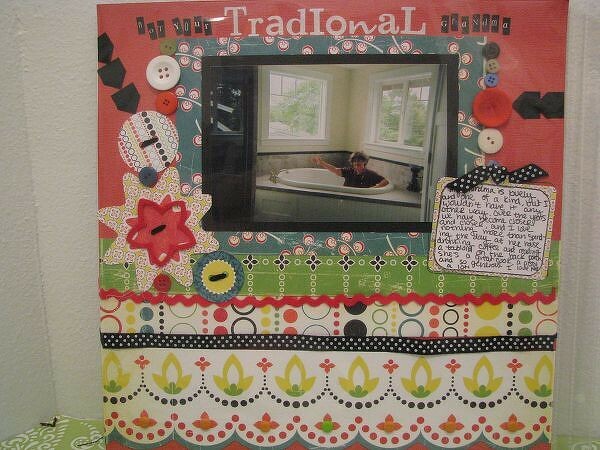 My parents got divorced and it was too painful to scrapbook. 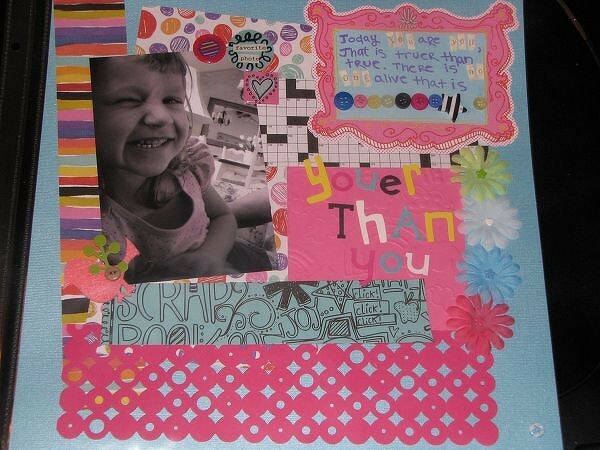 Scrapbooking has always been how I process emotions, and it was too much for me to face. 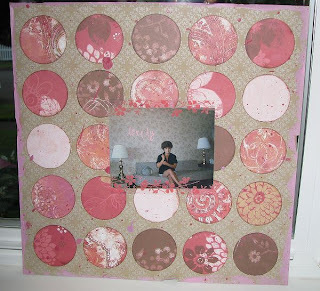 My scrapbooking room had been at my parents house and I scrapbooked whenever I was on a break from college. Where my Mom moved temporarily had no space for scrapbooking, and my dorm room was too small for my massive stash. I gave it up for two years. During that time, I dabbled in many different types of creative projects. 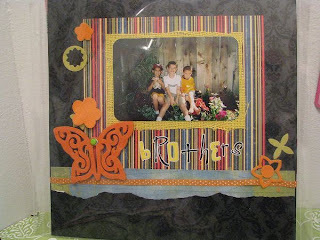 I tried knitting, card-making kits, sewing, and beading. Nothing touched my soul like scrapbooking had. Still, I wasn't ready. Eventually I met Michael and my heart soared. He made me feel happy and alive like no one else had before. He nutured my creativity and encouraged me to pick up my beloved hobby again. At this point, I lived in my own apartment. 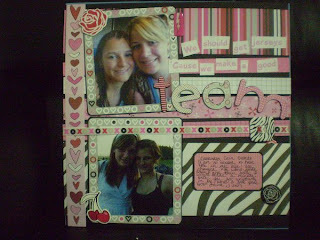 It was small and there was no room for my scrapbooking stuff. I did what anyone would do in this circumstance; I got rid of my kitchen table and moved my scrapbooking stuff into the living room. My soul was refreshed and I was in love again. 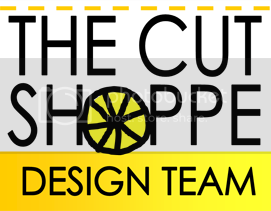 I've always wanted to be on a design team and made that specifically for my application. 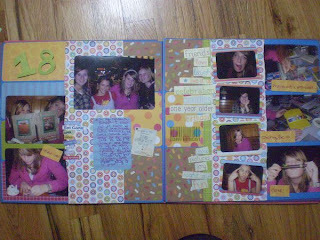 The layouts the kit club I applied for encouraged journaling. I didn't get the position, and, in hindsight, I am so grateful. It was after I made those layouts for the application that I realized I didn't want to journal on my layouts anymore, nor was I interested in two-page layouts. For me, it had become more about the process of the page and the emotion the picture made me feel, rather than the moment itself. Now I only scrapbook what pictures inspire me. You'll see a lot of pictures of my wedding, my husband and my dog. After a family visit, I tend to make a layout about my cousins. When I see my best friend (which, sadly, isn't very often), I'll usually be excited and want to make something about her. 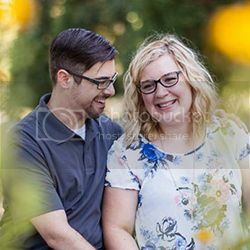 I may never make it onto a design team because my particular style isn't the norm, but I am okay with that.While most people scrapbook for the memories, this is what works for me. 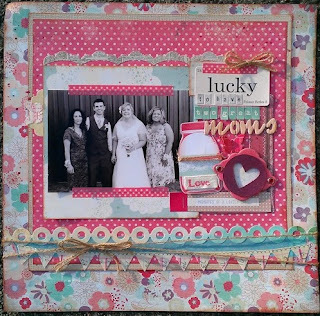 I scrapbook to get through the bad times, to put into words just how much I love my husband, to find the joy in every day. I scrapbook for me! If you scrapbook, has your style changed drastically throughout the years? I think it's wonderful that you started at such a young age - I wish I had! 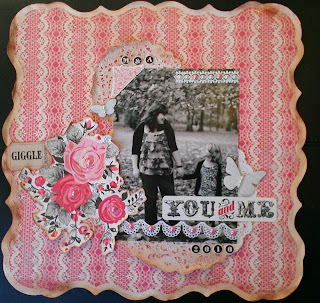 - and that you were able to come back to this amazing hobby and let your style evolve in a way that is true to you! Looking back over your styles and trends can be so fun especially is you feel you have improved. LOVE your examples especially that MOMS layout, love the colors.